Looks like good news if you are reasonably current in your Traveler environment. We have had a beta device connected to a 9.0.1 IF4 Traveler server and it worked with out any issue, I know I will be watching closely when Apple releases iOS8 to make sure everything keeps working. See the technote fo the Full Q&A including updates on Traveler Companion and To Do . Nice job by IBM getting this document published in advance of today’s Apple announcements. 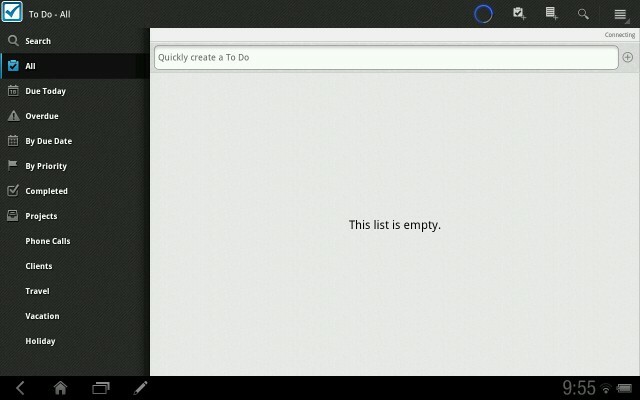 A while back I asked “Why Not Put Traveler in the Android Market?”, things have changed since I wrote that. For one thing the Android Market is now called Google Play. As of yesterday IBM Traveler for Android is now available in Google Play. Thanks for listening IBM. Last week at IBM Connect Chris Whisonant and I presented a Show and Tell Session on IBM Notes Traveler High Availability. One of the attendees at the session was a developer from the Traveler team. I had worked with Smith (actually his first name not an alias) many times before during Traveler Betas, and on a couple of PMR, but met him for the first time at a Birds of Feather session on Traveler that morning. While I was confident in my knowledge on the subject, a couple of times while presenting it occurred to me “would the developers agree with that?”. At the end of the session Smith has only one complaint, which I promised I would clarify when I got back home, and it was about this slide. Probably because I have been working with Domino for years, it was easy for me to fall back on using the word ‘cluster’ to describe Traveler in an HA Config, but as the slide indicates, Traveler Servers are not Domino Clusters. So what should we call them? The developers refer to them as HA pools, and Pool Members, so going forward I will use those terms to describe Traveler in an HA Config, it does make it easier to keep things straight. Slides from the session Chris Whisonant and I presented on Installing, Configuring, and Migrating to Traveler High Avaialbility. Feel free to reach out with any questions. 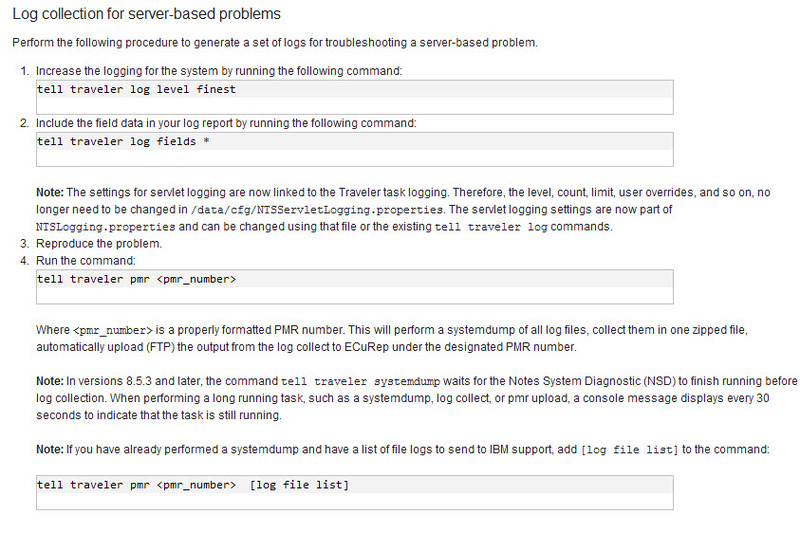 This is documented in the IBM Lotus Traveler Documentation, but it is worth pointing out. If you are using IBM Lotus Traveler on Android the browser used to download the client on the device will determine which information is populated in the client. 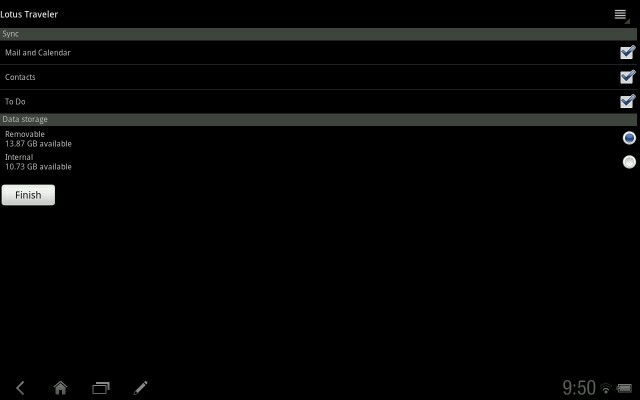 Traveler will still configure correctly but you will have to manually fill in your server name, and user name to complete the configuration. A Traveler To Do app for iOS should appear in the App Store soon. Now off to upgrade my demo environment. I am a big fan of Lotus Notes Traveler I have been working with it since the earliest beta builds. Overall it has been a fairly stable product, but like any other system use it enough you will run in to issues. Any time you open a PMR you can expect to be asked to provide logs, Traveler has greatly simplified that process by adding a Tell Traveler PMR command, (I believe this was added in 8.5.2) allowing you to automatically collect and upload logs to your PMR. While of course I would prefer not to have to open a PMR it is easier to have a streamlined way to upload logs. I would love to see this implemented for more Domino Server features especially router and http. I like the new icons, and glad to finally have High Availability in my Traveler environment, my dev system is upgraded from beta to gold, and now working on the plan to migrate a rather large Traveler production environment in to a High Availability cluster. 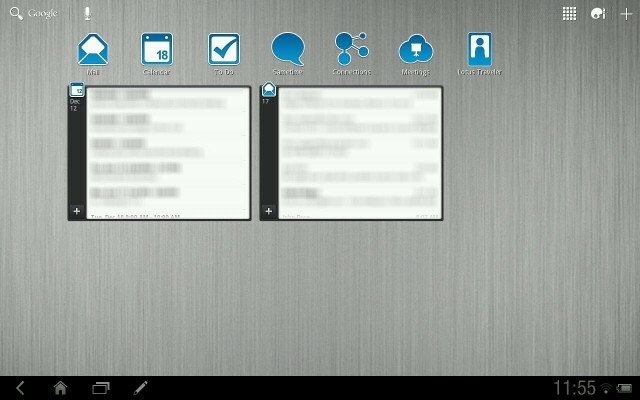 Just have to wait for an updated Sametime Client icon now to match the others. This is a rather interesting press release I spotted this morning. NitroDesk the makers of TouchDown an Activesync client for Android have announced their plans to officially support Lotus Notes Traveler. Now Touchdown has worked well with Traveler for a while, and there have been a number of new releases since I last played with it. Here is the interesting part, I am not sure why someone using a supported Android Device would choose Touchdown over IBM’s Android App, but Touchdown supports the Kindle Fire (the Kindle Fire is not currently supported by Traveler) giving Traveler access to Kindle Fire Owners. NitroDesk, the makers of TouchDown, the number-one Microsoft® Exchange server synchronization solution for Android-powered devices, announce Lotus Notes support in the next release of TouchDown at the end of Q1. TouchDown requires Lotus Notes to be running with Lotus Notes® Traveler. 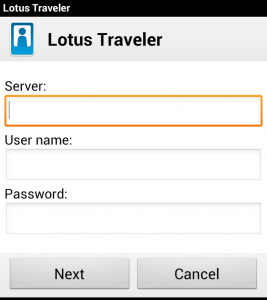 Lotus Notes Traveler 8.5.2.1 and above supports Android 2.x devices. 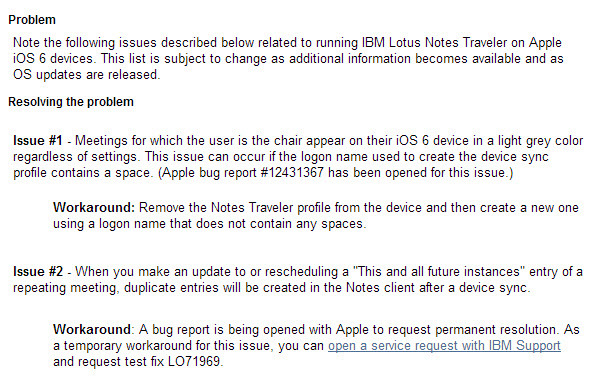 Lotus Notes Traveler 8.5.2.2 and above supports Android 3.x devices. NitroDesk TouchDown is priced at USD 19.99 and is available for download and purchase directly on the device from Android Market. Enterprise and volume-license customers and MDM partners should contact sales@nitrodesk.com for additional pricing options. A fully functional 30-day trial version is available for download in the Android Market. Welcome, this site now consists of content created here and migrated from two other sites. If you find posts that are formatted wrong, or missing images please let me know using the Contact Form I will do my best to fix ASAP.